Vintage fairs are back for the autumn/winter! There’s another one I’m planning to go to next month, by which point I may no longer be strong/warm enough to resist the lure of vintage ’80s jumpers. I have plenty. I still want more. 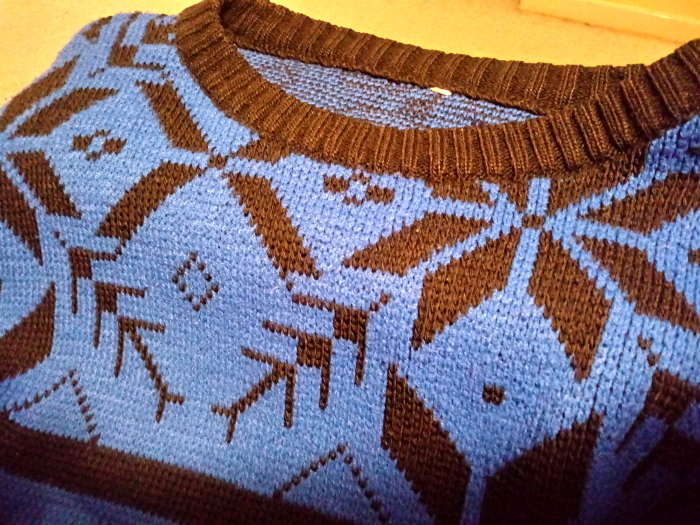 I was sensible today, though, and didn’t buy any jumpers for now. Instead, I picked up two things I’d actually been visualising: a red blouse to go with one of this year’s Christmas outfits, and a jersey dress that will be nice and comfortable for ’round the house’ days, which, for a work-from-home type like me, is most days. The red material looks shiny here but it’s actually more kind of sheer. It’s very satisfying to be able to add a piece here and there to my vintage collection. Looking forward to wearing both of these! By the post title, I mean deliberately getting back into one, and trying not to get back into another! The good one is reading. As a child I was a voracious reader and the only time I didn’t have my nose in a book was when I was writing my own stories. Then I grew up and the internet happened, and I went to university where I had to read nonfiction books for research all day long, and so my reading habits shifted from novels to blogs and forums, and my fiction-consuming habits shifted almost solely to TV shows and videogames. I’ve never really fully got back into the habit of reading books, although I do make a concerted effort every few months – I’m fully aware that my own writing improves when I read actual published works rather than stuff on the internet, interesting as a lot of stuff on the internet is. As such, for the last couple of weeks – ever since we got access to our books – I’ve been reading for an hour before bed. Also, I got a Kindle for Christmas, and in the last week or so I’ve been filling it up with ebooks to read while I’m on holiday. I’m looking forward to having some time for that again. 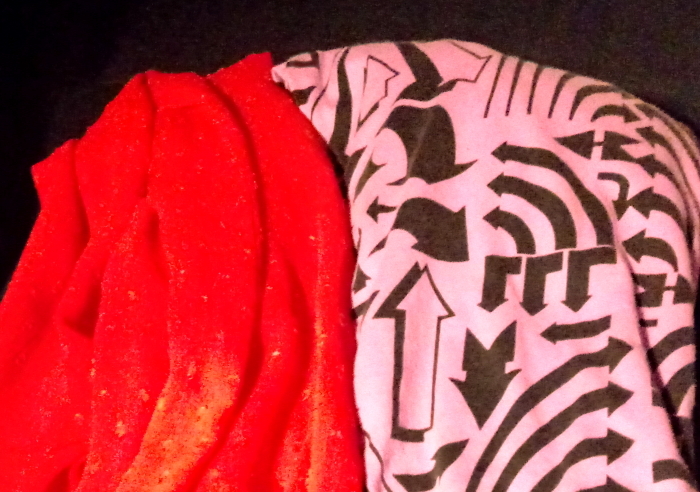 The bad habit – which I indulged in today but am not intending to repeat – is buying mounds of cheap clothing in Primark. Since my wardrobe cull, it’s been very important to me that I don’t end up replacing the mounds of cheap and unwearable clothes with more mounds of cheap and unwearable clothes, and so the clothes I’ve been buying so far this year have been better quality investment pieces that I know will get lots of wear. I realised that I don’t have enough lightweight summer clothes for my upcoming holiday though – in the UK climate you don’t usually need a lot of summer clothes, although the ones I do own have been seeing a lot of use during the heatwave we’ve been having for the last few weeks – and so I did break my Primark ban this morning. I don’t expect the clothes will last long, but I know I’ll get a lot of use out of them this summer – and that I now have the de-hoarding mental strength to get rid of them when they do wear out, which is the important thing. I’m nearly getting to the point where I have enough clothes again. Not quite, but nearly! One of the things on my (very long) list of stuff I wanted to buy when I reached my Slimming World target was a good, well-fitting pair of jeans. In the last two weeks, I have bought four pairs, and have my eye on a few more. I had forgotten how comfortable they are when they fit properly. 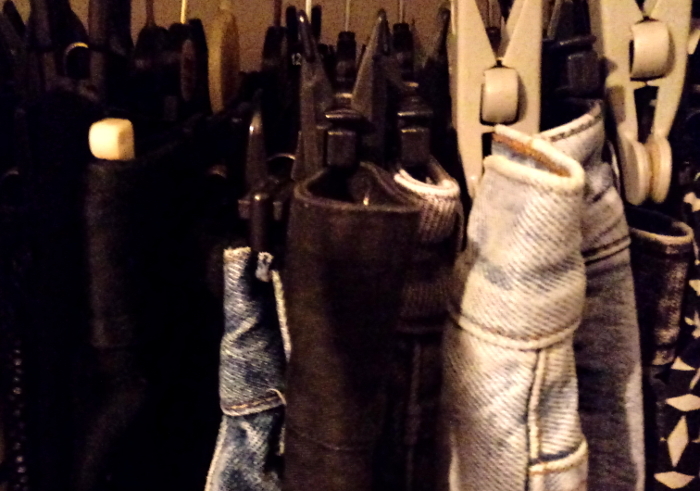 I did have a couple of pairs of jeans when I was bigger, but they were always uncomfortable. Because of my endless yo-yo dieting they were rarely the right side for me, and even when they were, they would still dig uncomfortably into my middle whenever I was sitting down, which was most of the time. I think this was largely because up until a couple of years ago, jeans were still uniformly low-rise, and so they hit at a really uncomfortable place for me. That burgundy pair were cute but super uncomfortable. Yes, I am sitting on a beach ball, and no, I’m not going to explain why. The legs belong to my Thrills-loving mate Gemma. The return of high-rise waists suits me a lot better, in terms of both comfort and style (they look more ’80s. Everything is better when it looks more ’80s). Wearing blue jeans for the first time in about fifteen years. I only had black and burgundy ones when I was bigger. You can see the previous pair of blue jeans I owned, a ridiculous pair of ’00s baggies, in the picture for my review of Now! #56 from 2003. I am now learning about all the different styles you can buy at the moment – skinny, super skinny, slim leg, straight leg, mom jeans, boyfriend jeans, the list goes on. This is an exciting new world! I am not about to let it get to the levels of my shoe obsession, but I am really glad to be done with the phase of my life that involved wearing leggings every single day. 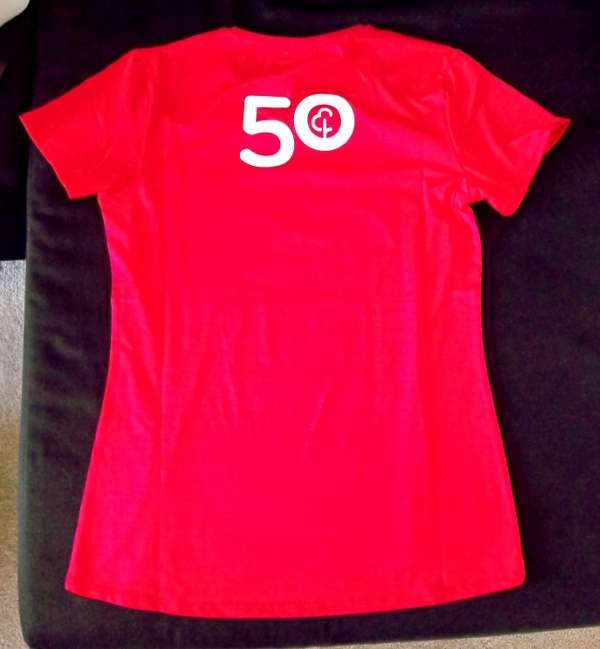 I qualified for my parkrun 50 shirt back in October, but have had to wait for the milestone T-shirt due to a backlog and subsequent changeover in T-shirt company. But no longer – it arrived today! Looking forward to wearing this out – I’m hoping to have time for a wee shakeout run this week before the next race, but if not, I’ll be wearing it at Perry Hall parkrun (my favourite parkrun I’ve tried so far) in a couple of weeks! It was so nice to get back to vintage fair trawling today! I took a break from the drudgery of my all-encompassing project this afternoon to go to the Boiler Shop in central Newcastle, where I’ve been for different vintage fairs before. Today it was hosting Judy’s Affordable Vintage Fair, which I’ve previously been to at different venues. They all kind of chop and change about in that way. 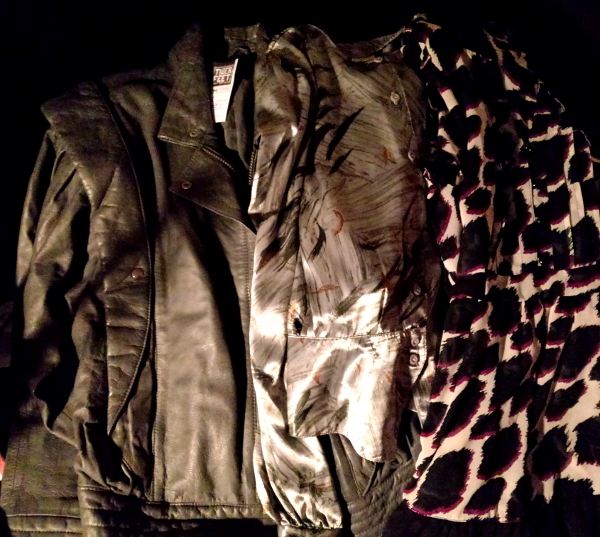 Left to right: grey leather jacket, silver silk blouse, purple/black/white chiffon blouse. I’m really pleased with today’s purchases! The jacket will do me perfectly for spring and autumn (and probably for the cooler bits of summer as well, let’s face it!). 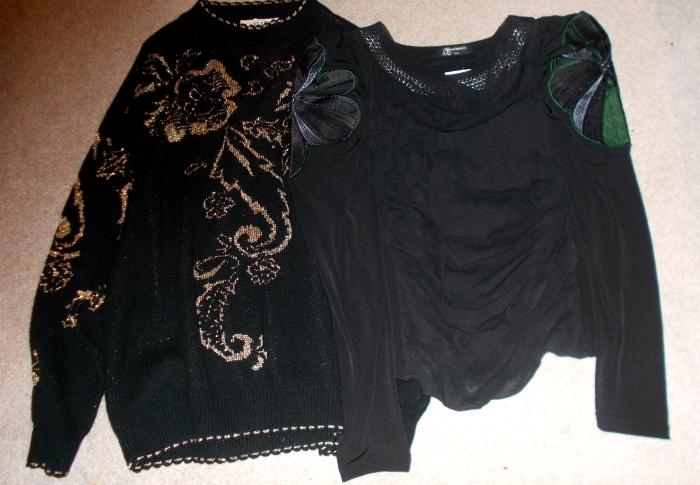 The blouses, meanwhile, are to mitigate the fact that post-cull I’ve been lacking in pretty tops. Probably my favourite vintage fair trip so far – I really feel like I’m learning to spot stuff that I really like, and not just buying things for the sake of it. After a couple of days of dribs and drabs of small deliveries of house stuff, the big Ikea order arrived today! Most of it (I’ve already assembled the replacement lamp) is still sitting in the middle of the living room, as there’s no space to assemble the units or put them in their eventual places yet. And just when I thought I’d reclaimed that bit of living room floor. Oh well. I also finally finished the wardrobe cull. It’s amazing how much stuff I realised I just didn’t like or want to wear, and in total I’ve probably got rid of about 75% of my clothes. To be fair, I am now spending a lot of time online, fantasy shopping for replacements, but I’m trying to be good and only (mostly) buying things I actually need. Now that the Ikea order is here, one thing I can do is start putting stuff into its proper storage boxes. Hopefully I’ll have a properly functioning dressing room, at least, by the end of the week!